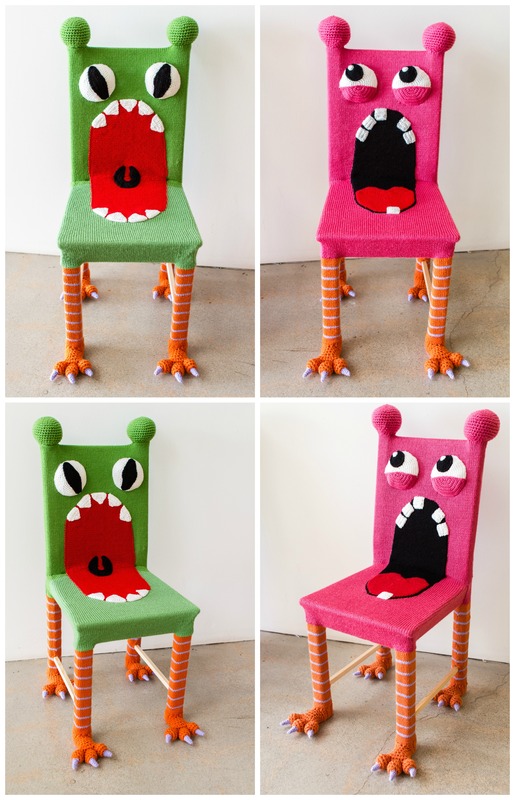 Two monster chairs inspired by our Buttmunches yarnbomb. Each chair is a combination of hand crocheted and machine knit panels hand seamed together on a solid pine chair. Read the full story of this yarn bomb here. Acrylic yarn, solid pine wood. Per bench: 1 week to design and construct. On view at Unleashed Art Gallery summer 2015. The green chair is still available in the shop here, and at Claremont Art Studios for private viewings.